Welcome to Castle Mountain 14B! Plenty of seating to enjoy the mountain views! Enjoy early breakfast or late dinner with a view! 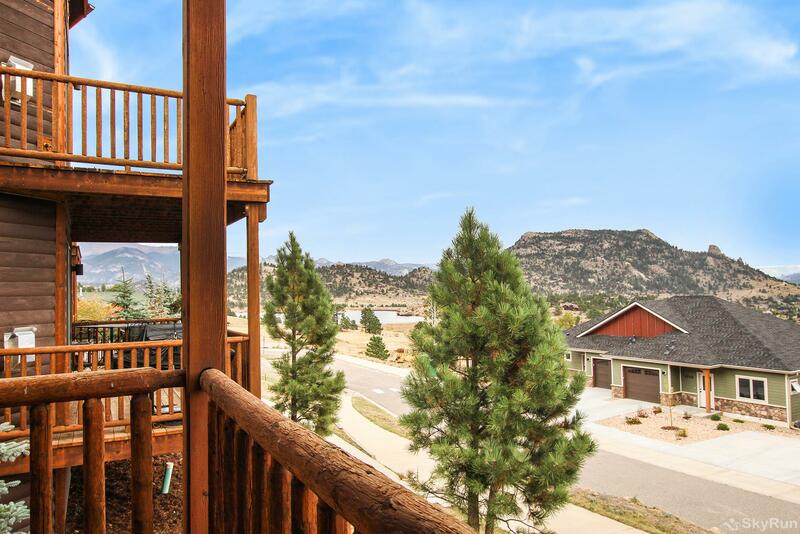 Relax in your mountain home away from home!  Your kitchen is well equipped for easy meal prep! Fresh air dining with mountain views! Now it's time to relax and breathe in the amazing mountain air! 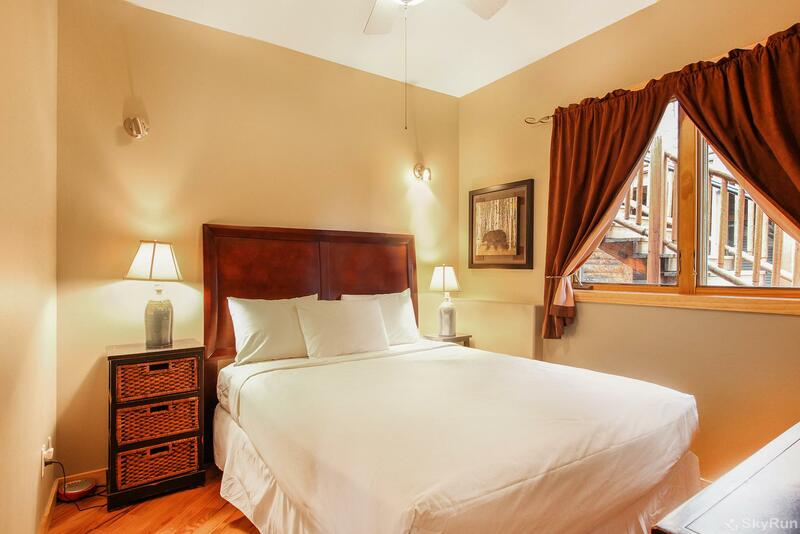 Master bedroom with King bed, flat screen TV and private bathroom. 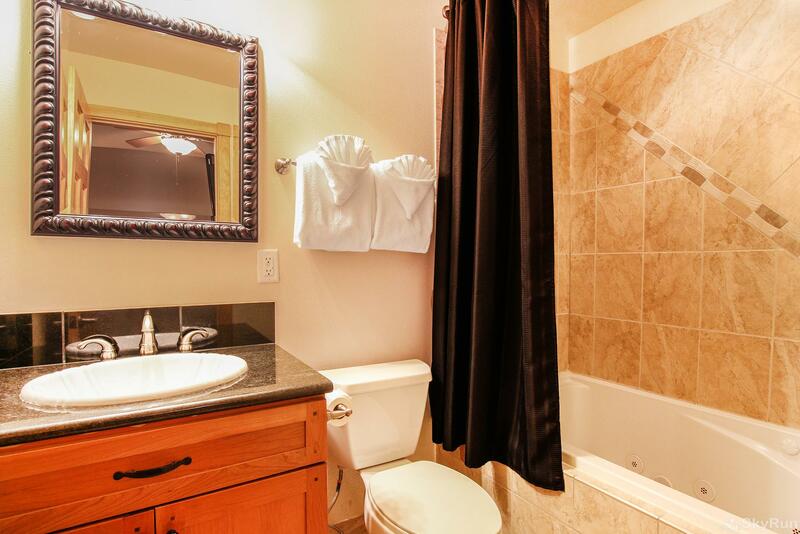 Master bedroom and private bathroom with combination tub/shower. 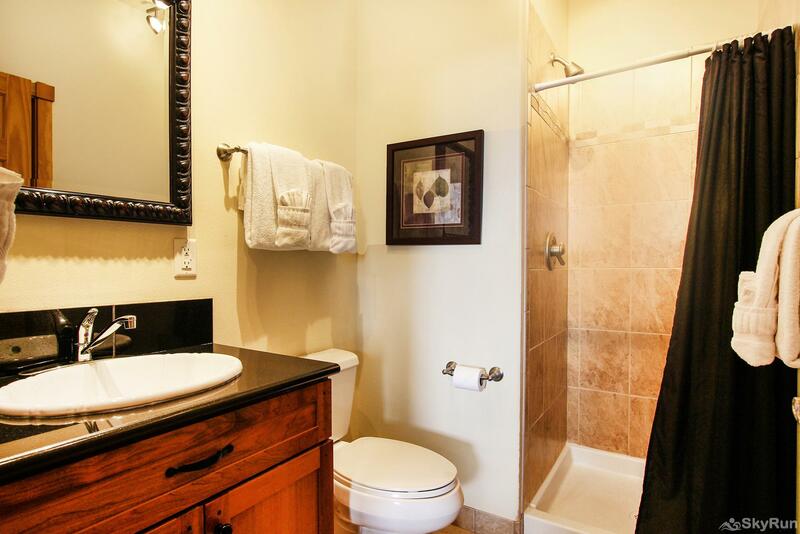 Private master bathroom with jetted tub/shower combo. 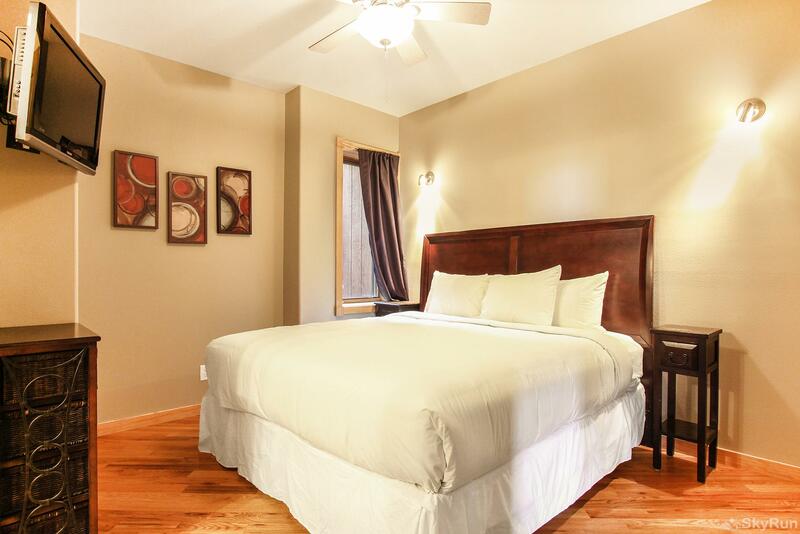 Guest bedroom with Queen bed. 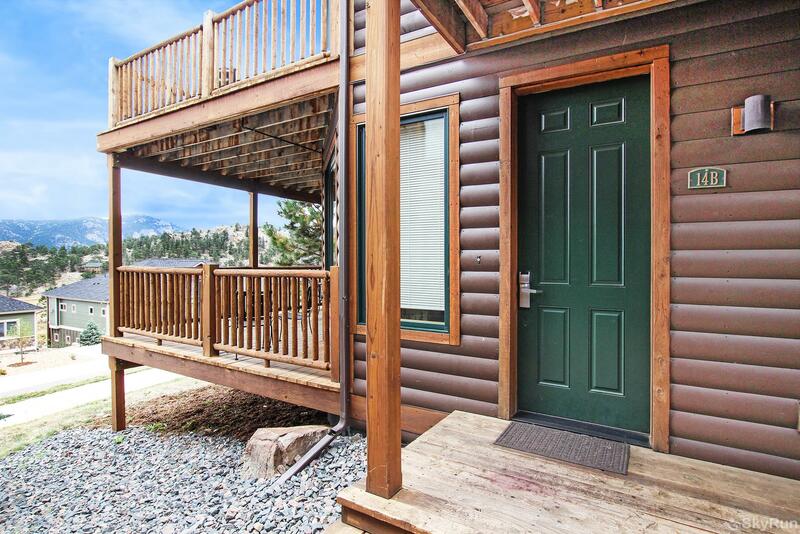 Welcome to Castle Mountain 14B - your mountain getaway! 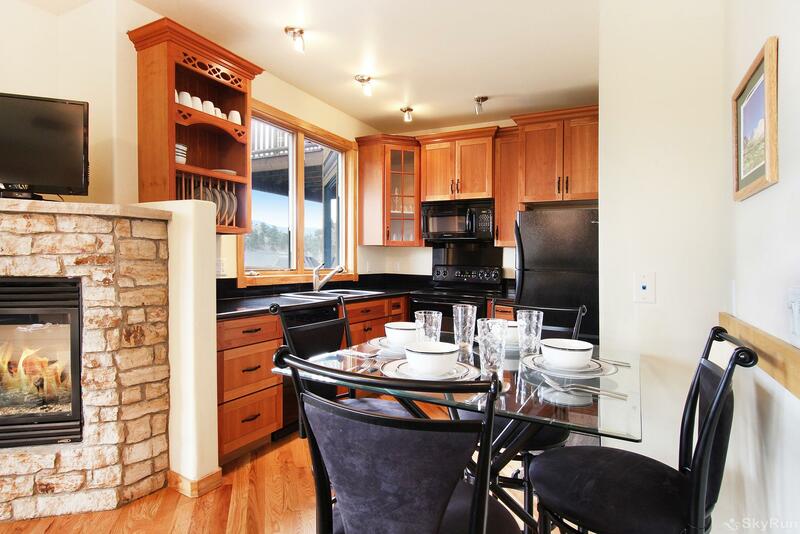 Step into Castle Mountain 14B, a luxurious two bedroom condo with spectacular views of Marys Lake and the mountains. Awake each day and savor a cup of coffee in the beautiful morning light. Take a stroll to serene Marys Lake for fishing or skipping rocks. After a long day of activities in Rocky Mountain National Park, curl up and enjoy the warmth of an intimate gas fireplace. The kitchen is very well equipped for preparing your meals. 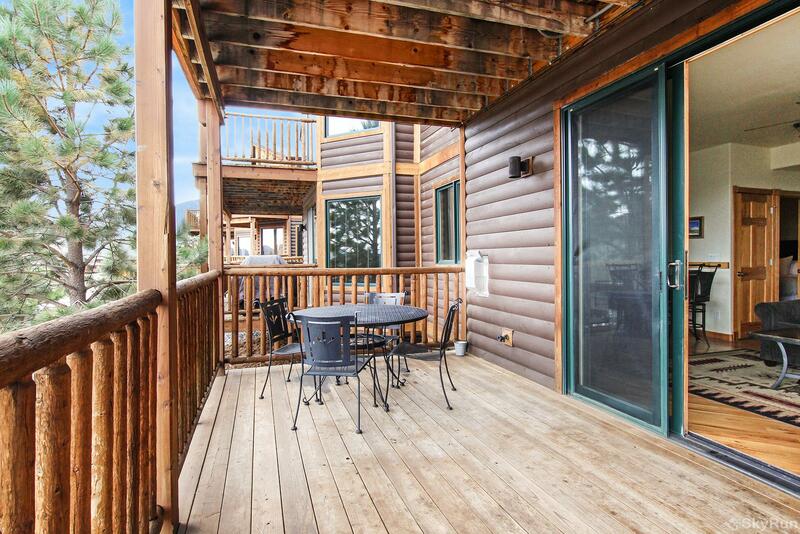 At the end of the day enjoy a hot cup of cocoa on your private deck while taking in the brilliant night skies. 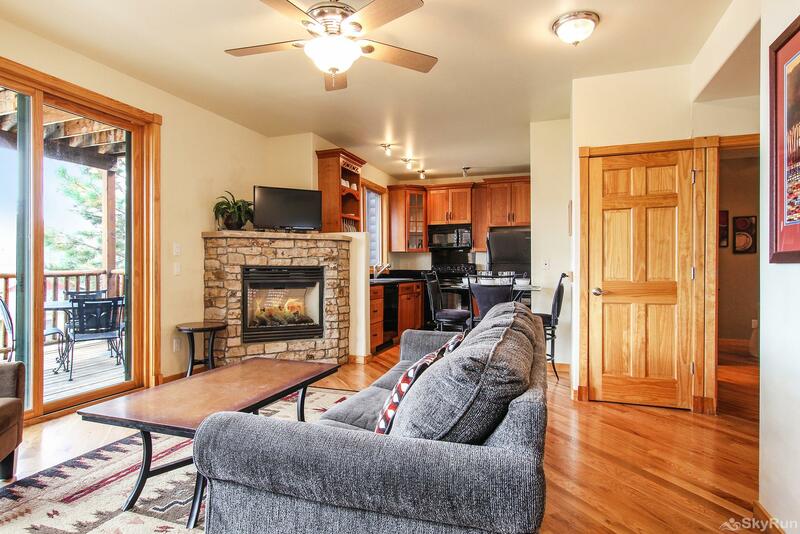 Enter into the open living area where you'll notice the comfortable Queen sleeper sofa, fireplace, flat screen TV and magnificent mountain views. 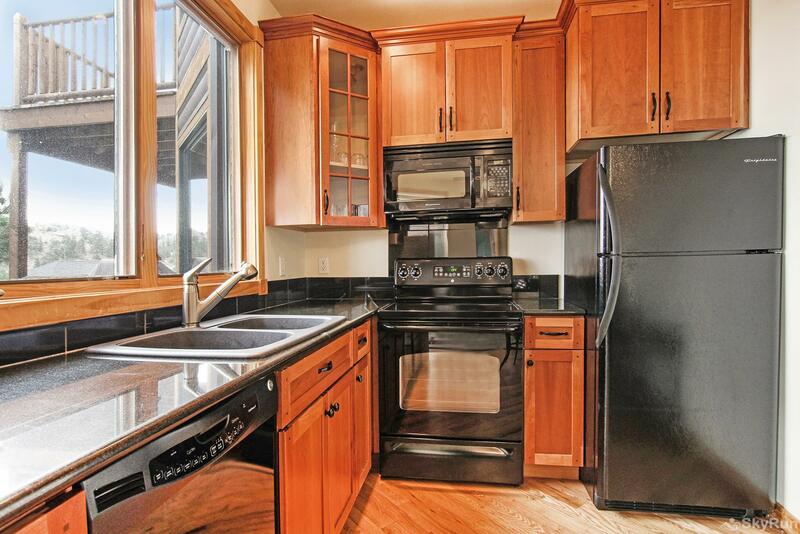 The well-appointed kitchen is perfect for easy meal preparation. You'll find your private, stacked washer/dryer in a closet off the kitchen. 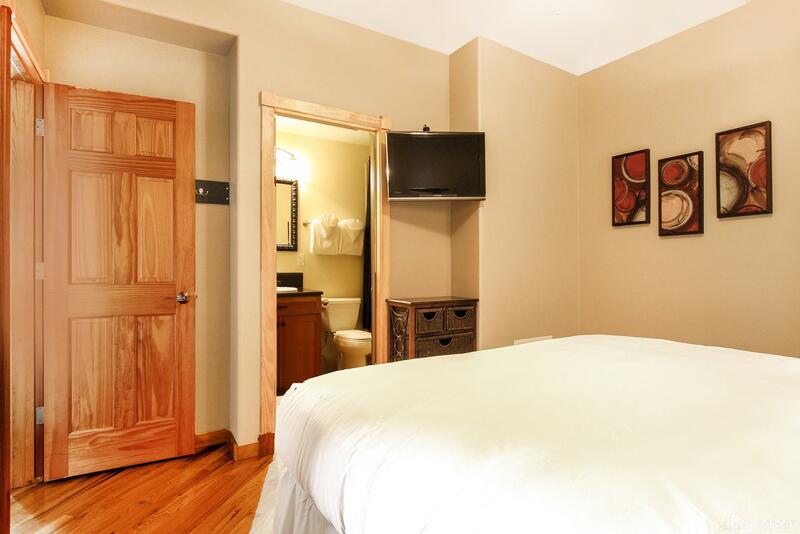 The guest bedroom has a King bed, flat screen TV, and a jack-and-jill bathroom. 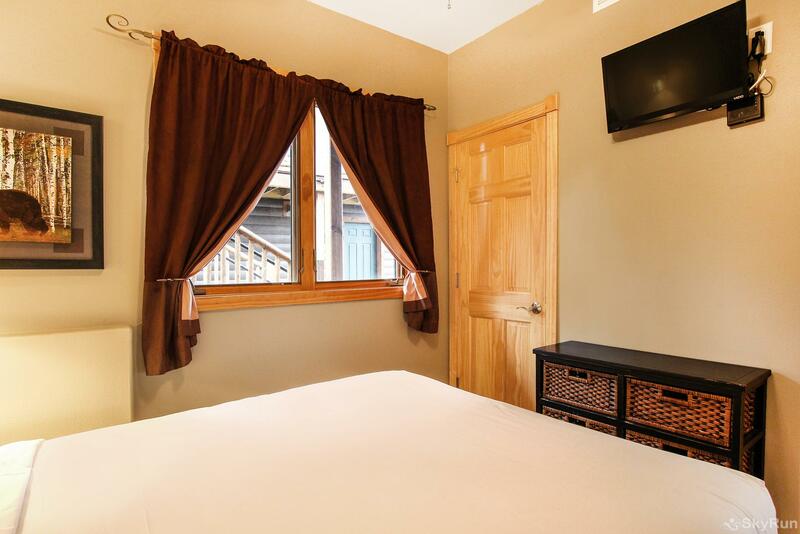 The Master suite features a King size bed, flat screen TV, and private full bathroom with tub/shower combination and two sinks. 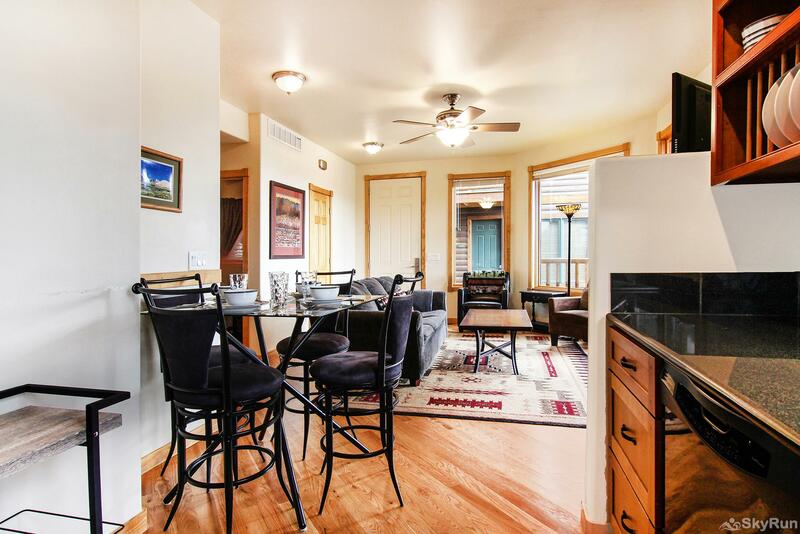 Castle Mountain 14B will keep you warm and cozy in the winter and cool and comfortable in the summer with Central Air Conditioning. 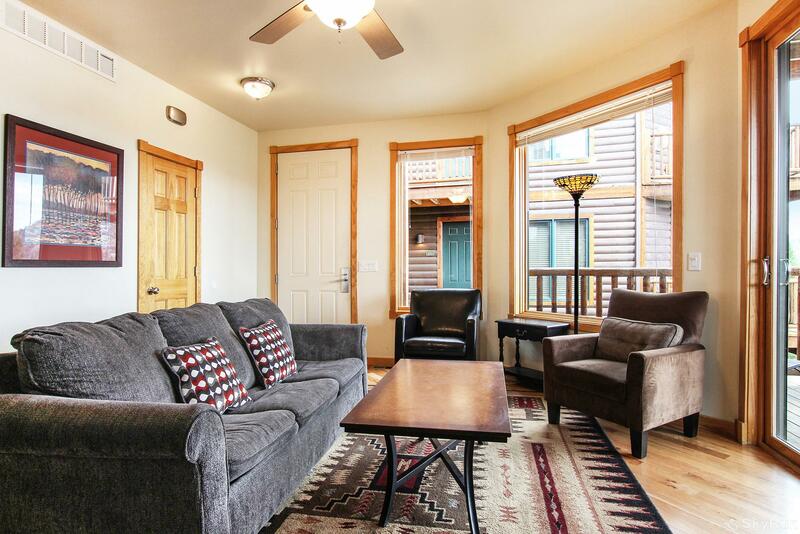 This lovely condo accommodates up to 6 people and will be your perfect mountain home away from home!